Skateboarding action on your PC. The highly excellent OlliOlli2, which is the sequel to the great sidescrolling skatekboarding/platforming game that was released to rave acclaim last year, will be coming to PC soon- as a matter of fact, you can play it on your PC as early as next month. 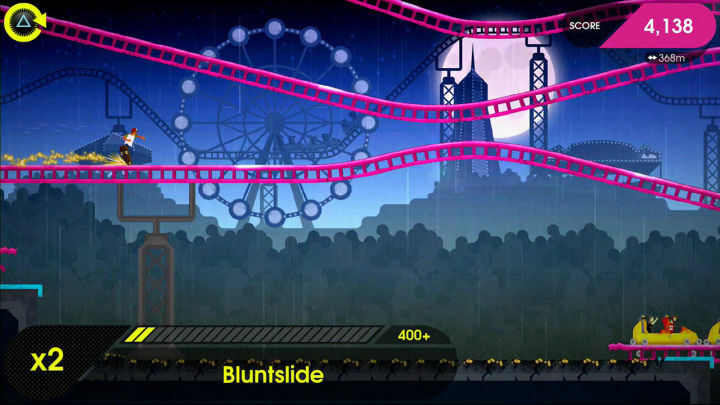 Previously, OlliOlli2 launched for PlayStation systems in March of this year. OlliOlli2 will now be available on PCs running Windows, Mac, and Linux starting August 11. It will be available on Steam, Humble, and GoG, and it is going to set you back by $15- a fine price for what is considered by many at GamingBolt one of the best games of the year so far. If you don’t game on PC and PlayStation, but still want a piece of some of that smooth skateboarding action, don’t despair! The original OlliOlli game also released on Xbox One, 3DS, and Wii U earlier this year around the same time as the sequel launched for PlayStation, so if you have an Xbox or a Wii, you can still head over to your digital store and see all the hype is about.